Traditional Chinese Medicine uses diet (diet therapy), professional means, evidence-based means for the treatment. Chinese Medicine emphasizes the diet therapy more than the herbs or acupuncture, in the prevention of diseases. In the diet therapy, the diet recommended to the patient is based also on the Chinese medicine concept, the Yin and Yang of the illness, with the aim to release accumulated illness-causing factors or supply more energy, blood, Yin or Yang aspect of the body. Therefore it doesn’t mean that there is some diet that will suit to every one. Each body is different for their body constitution (cold body, or warm body, Yin-deficiency body or Yang deficiency body), the seasons of the year, the nature of the current disease, etc. The diet will be therefore different. For example, hot pepper might be recommended for those who is Cold body with cold hands and feet usually, but it is not good for those who has hot flash, or fever, skin rash. It is important that nothing in the diet should be eaten too much, according to the Traditional Chinese medicine. This includes sugar, salt, vinegar, ginger or hot pepper. Each taste belongs to a given element in the Five Element theory, so too much taken of a given taste will break the balance of the Five-element in the body to cause disease. This principle also include vegetables and fruits. Some vegetables and fruits belong to Hot, and others, Cold. Too much taken of a single kind of vegetable or fruit will also disturb the Five-element balance in the body. My patient usually ask me what they should eat, I usually tell them that the simple way and most safe way is to eat various kinds of vegetables or fruits. One of the principles in the diet therapy is to take hot diet in the summer and relatively cold diet in the winter, for those of us having no clear sign of disease. This is because that in the summer, the warm vital energy is on the surface of the body (just as the warm is in the surface of the earth), with relatively cold in the inside of the body. This is why in summer, and especially in the south area of the earth, people may still take more hot pepper or hot food in their diet. Clinically, it is also known that to stomach problems in the patients in summer, addition of hot herbs in the herbal therapy increases the clinic effect. Similarly, in winter, the warm energy is withdrawn into the inside of the body, as the warm energy now comes into the deeper part of the earth (the Chinese medicine concept). We should cold down our inside body with radish (not the carrot!) from time to time, especially if we have sign of Fire syndrome (such as mouth ulcers, dry mouth, constipation, etc. ). Chinese says: Winter (eat) radish, summer (eat) gingers. The professional therapies in the Traditional Chinese medicine includes, but not limited to, the herbal therapy, acupuncture, tuina-massage (including Chinese reflexology, Chinese Chiropractics, bone balance technique), cupping, bleeding, guasha, or moxibustion. These therapies are definitely touch during the training in the medical colleges or universities in China. Based on personal interest and training, some doctors may also use various other therapies, such as Qigong, or Magic figure therapies. Herbal therapy is the most important therapies in the whole Traditional Chinese Medicine. This is true, especially when a disease is very complex, or in a later stage. Some times, the acupuncture may works much faster or efficient than the herbal – very much on the doctor’s own clinic ability – especially if it is used to release pain, or to improve conditions such as after stroke. In Chinese herbal therapy, herbs are usually parts of the plants, e.g. from the roots, barks, leaves, flowers, but not the whole plants. For a long time, the Chinese has already noticed that the nature of the different part of a plant may be quiet different. Sometimes, Chinese also use mineral stones, or animal parts for the treatment. 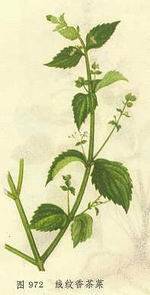 The herbs are compiled in a formula for the treatment. The formula may contain only one herb, or more than 30 kinds of herbs, with an average of 6 to 12 herbs. You should know that, the function of a given herb in the herb formula depends on the amount of the herb and also on its relationship with other herb ingredients, e.g. the present of, and the amount of other herbs in the formula. With the same herb ingredients but varying the amount of some herbs in it, the healing effect could be changed dramatically. A given herb may function as a king in one formula, but a soldier in other formula. This is quite common. In another way, we say that, the function of herbs in a formula is not as simple as one plus one equal to two. The pattern, the relationship among the herbs, is also a very important factor that affects the herb function. Unfortunately, some people, including the conventional medical authorities, can never understand it. If they found that some herb causes toxic to the body, they are eager to ban all of the herb products that contain this specific herb. If their thinking works, we should urge them to ban sugar in all kinds of foods that could supply body sugar, since it is well known that sugar is related to the onset of diabetic! There are also some kinds of treatments, that are not touch in the text book, but are used by layman. These kinds of treatment also include the use of herbs, but also tea (tea therapy), wine (wine or liquor therapy), or many others. We may or may not be able to explain why it works according to the conventional Traditional Chinese Medicine concepts, but it works and people just use it. In Chinese, we call it Pian Fang, or Mi Fang. It means that the therapy is out of the scope of the Traditional and professional medicine education, and it may be passed by heritage from one generation to another, kept as secret in a family. We should never omit the importance of such Pian Fang or Mi Fang. It does not only work for ordinary disease, but also very sever disease!